I have spent the past few weeks working with a great crew down in Manchester, Vermont. 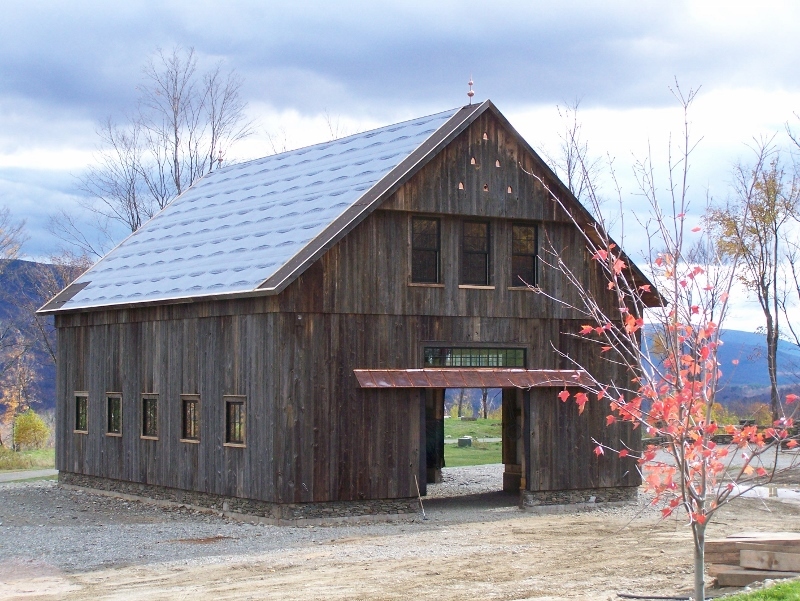 We have been working on completing a large (by early Vermont standards) New England barn, built from the 200+ year-old vintage post and bean frame that I wrote about back in September. With hand hewn wood beams, and coming in at 31 by 41 feet, it’s a beautiful timber frame which originally stood in Middle Granville, NY. The siding we used to finish the barn came from a different antique barn in the area. The star you see here had been saved from that barn siding by the salvage company and we integrated it into the renovated barn as an art form, more or less. 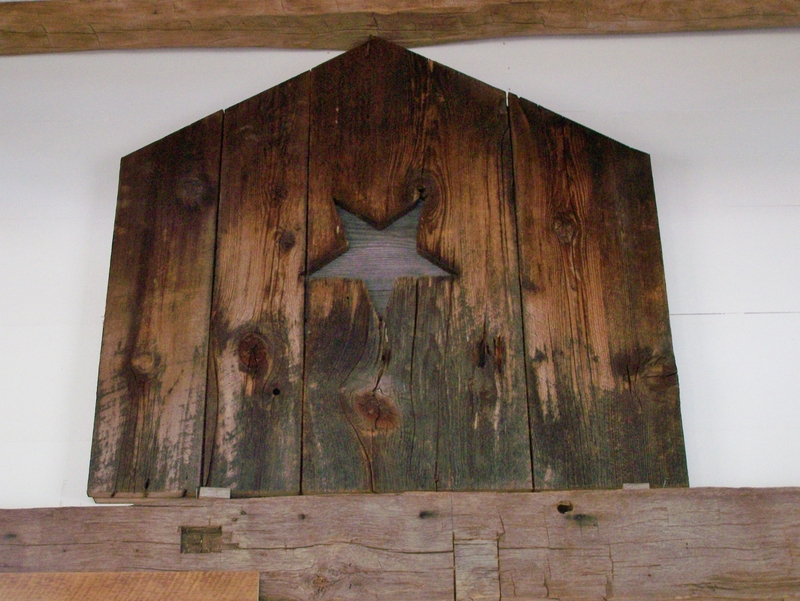 This type of star may have been used originally as a feature in barns to allow birds inside. In the photo below, you can see the bird box we designed in the new, old barn. The bird box is designed around Kestrel Falcon specifications but only time will tell who will inhabit it! 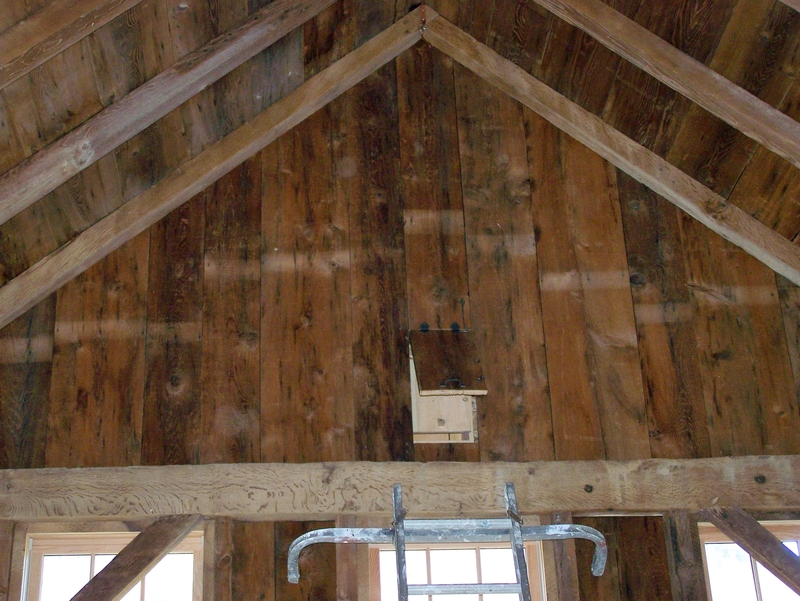 Bird Box access inside Restored Timber Frame Barn. We are hopeful that a Kestrel will come nestle in this nook. Here’s how it looks from the exterior of the frame. 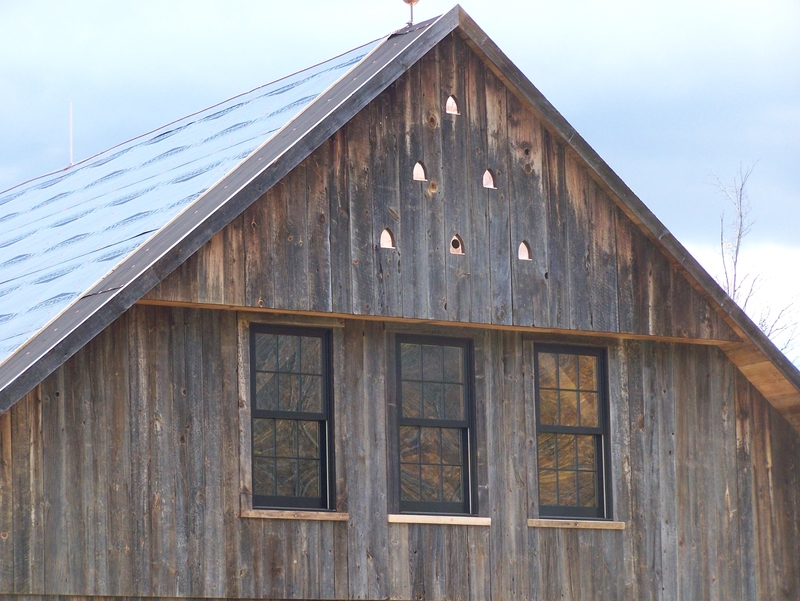 As you can see in the picture above, the barn features a total of six of these style of openings, but five of them are faux. Here is another picture of the guys installing the bird boxes. Below, you can see the overhang supporting the future sliding barn doors. We finished it with a beautiful copper standing seam, to compliment the cedar shake roof. Copper roof overhand above barn doors. 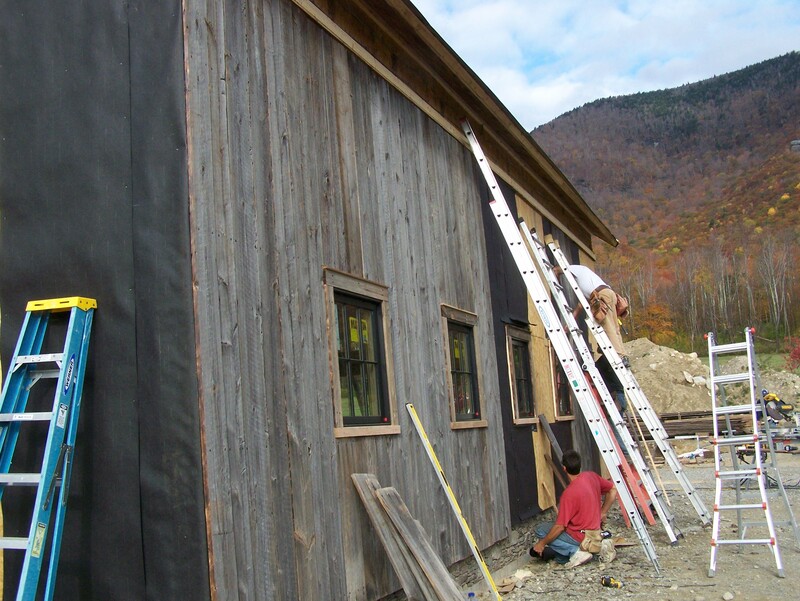 This past week, we focused much of our time on installing the vintage siding. Now that the structure is nearly finished, the one thing left is to install the cedar shake roof! We are quite excited about the final product! 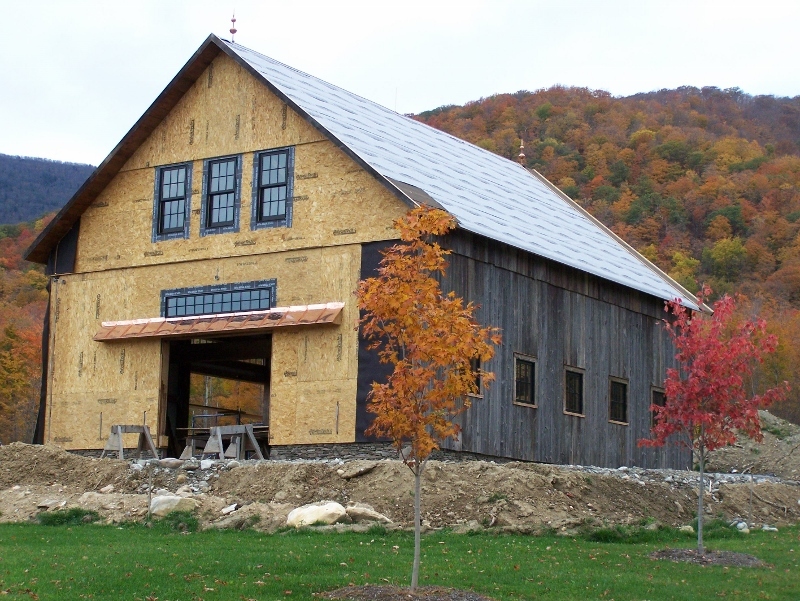 If you are interested in a timber frame barn or post and beam home, please do let me know! We have available frames at our workshop in Middletown Springs, VT.
up for the nice data you could have here on this post.